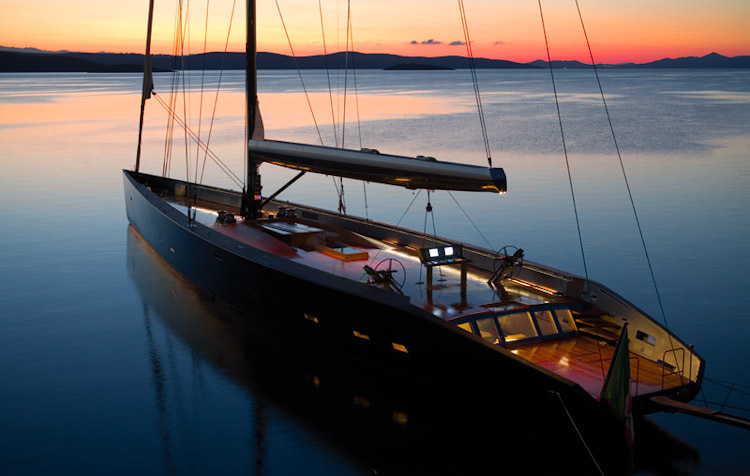 Cruising in ANY ship is awesome… not dumb… and this boat is beautiful. I think it is intended to look something like a racing boat but is nowhere near a real racing sailboat. Many cars are designed to look “racy” but are nothing like a real race car. There have been many “racing sailboats” that have successfully cruised major distances at great speeds. 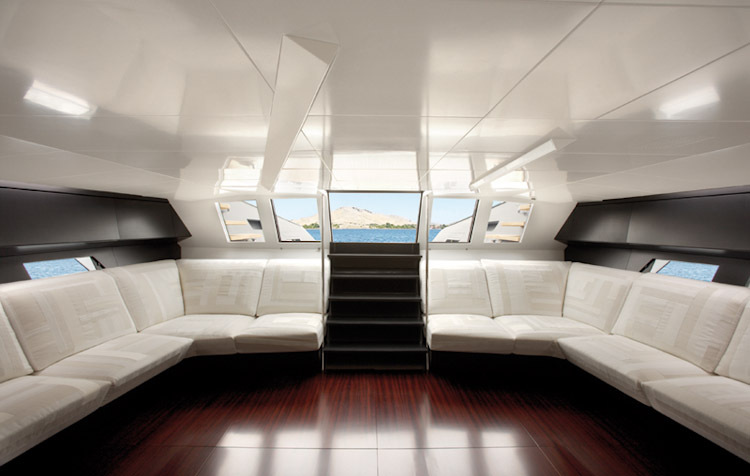 This brings to mind a friend who enjoyed designing and built a number of very fast boats–as in racing/cruising boats–but with luxurious interiors. Consider one of Steve Dashew’s previous vessels “Sundeer”, built by his fathers Deerfoot Yachts. I have been aboard Sundeer with Steve on more than one occasion, but never sailed her. Steve claimed and I think accurately that Sundeer easily made 16 knots under sail alone. Later on, I saw Steve adding plexiglass covers to the windows through the hull, so that well heeled, he could avoid the drag penalty created by those windows being inset by five inches. Perhaps you remember Bill lee of Santa Cruz Yachts fame. One of his first yachts, “Merlin”, an ULDB sailed from Long Beach, CA to Diamond Head, Hawaii in the 1977 Transpacific race. That boat is still around today having sailed that 2,200 miles (or so) many times. Does that not make Merlin somewhat of a race boat/cruising boat? Well, not really, as Merlin was designed to be a “Sled” or downwind vessel and she is quite the terror on the water–for all aboard. However, sail she does, and she sails long distances and many times. I have never heard of a crewman lost. 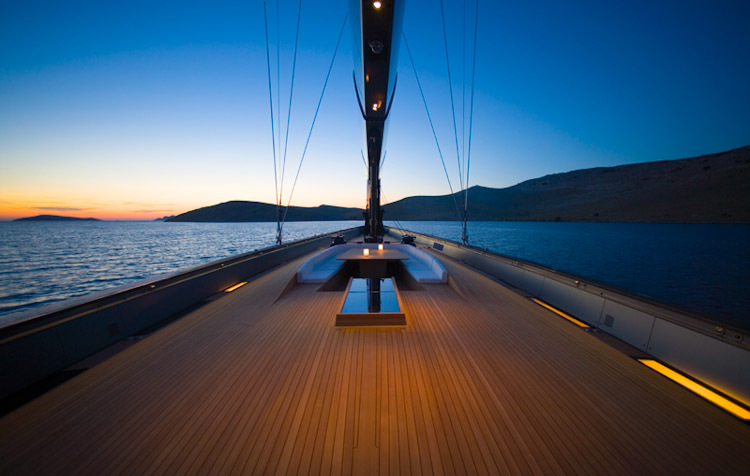 There is no perfect boat, so quit worrying enjoy your sailing. 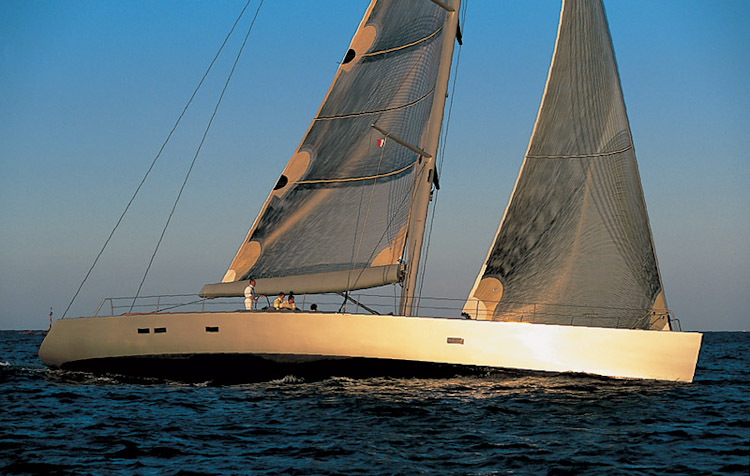 Today, the really fast boats can hit over 50 knots under sail. That’s fooking faaast, mon! While these are not called cruisers, they do start and win around the world races. In other words, that fine line between cruisers and racers has diminished considerably from the days of the Westsail 32, or Wet Snail as it was often called. Sailing fast has benefits, such as the ability to outrun a hurricane just as the SR71 once was able to outrun missiles–by turning up the power just a bit.